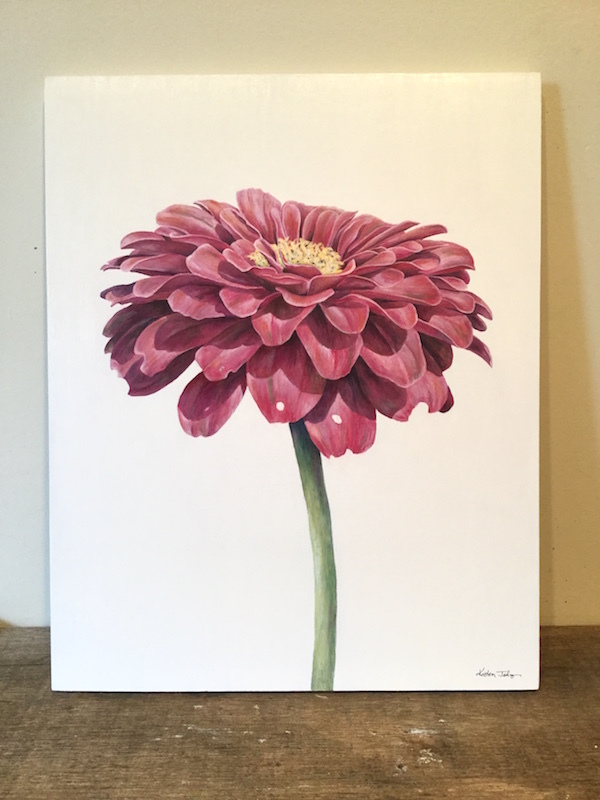 Here is my latest painting called "A plant portrait - the zinnia". The full title is, "She was playful and loved parties, but she had dark secrets and a few imperfections". I really loved painting this one - the bold colour, deep shadows, and repetitive scoops of petals - all of it was lovely to get lost in. 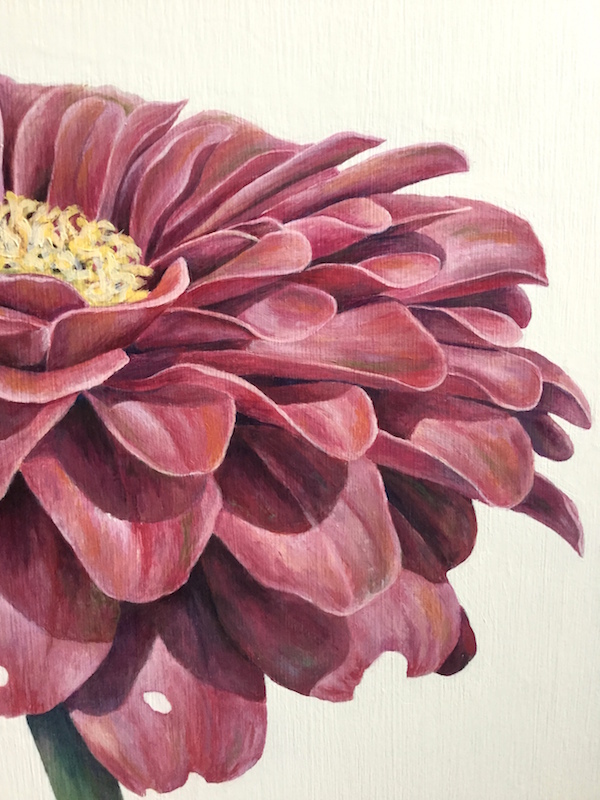 My goal for this painting was to make another flower portrait with a single bloom being the focus. 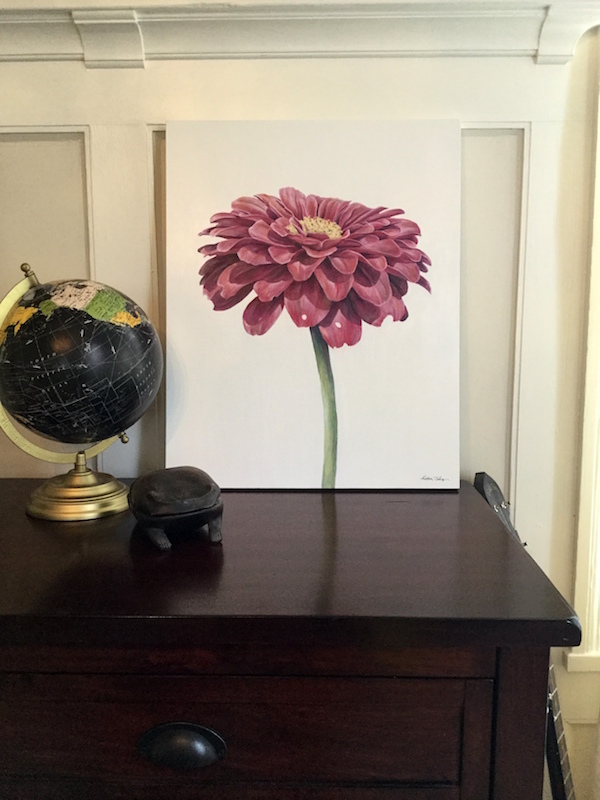 I want my paintings to be as much about people as they are about the garden and this zinnia had so much personality. As I worked my way through all those petals, she seemed to come more and more to life. I hope you like it! This painting is 16x20 inches tall and I made it with acrylic on a cradled wood panel. The zinnia is available in my shop! I love zinnias! Job well done! Thanks so much Sarah! Zinnias are one of my favourites!